Map It! 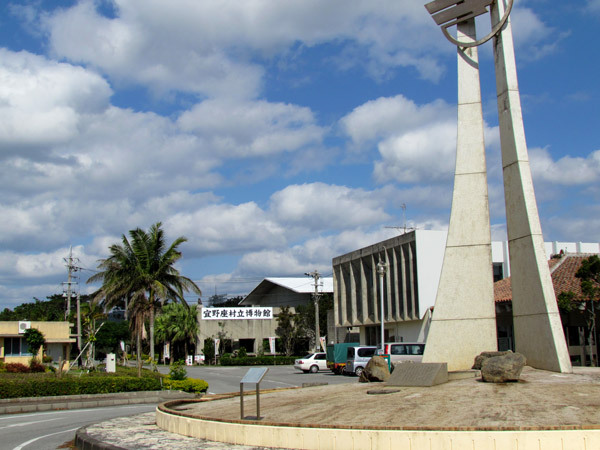 Okinawa: "The Katana and the Ginoza Museum"
Most town museums in Okinawa display an assortment of historical and cultural relics from that particular district. 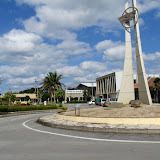 However, the Ginoza Museum has a couple distinctions that is separate from most museums here in Okinawa. On display are 7 authentic Japanese Katana's or 'samurai swords' dating back four periods of Japanese History (Kamakura through Meiji, 1192-1912). 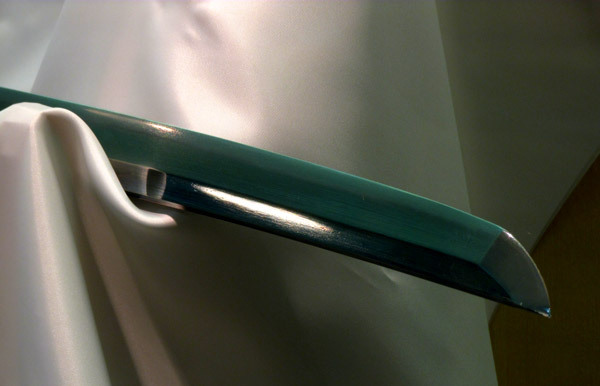 Additionally there are two other bladed weapons on display: the 'Tsurugi' (broad sword type) and the 'Naginata' (extended pole blade, similar to the Chinese Kwan Doa). The Katana is a prestigious weapon associated with members of the samurai class or similar nobility from Mainland Japan. Seeing them in Okinawa is somewhat unusual since weapons of this nature were banned in Okinawa since the Satsuma Invasion in 1609 (source). The question then becomes...why are these swords here on display? Right after World War II, the Allied Forces had directed the Japanese police to confiscate any and all arms (many of which were swords) from the Japanese. This was to prevent any possible armed up-rise with the occupying force. Thousands were collected. But in 1947, at the request of the Japanese Government, the weapons were returned due to their historical and national value to the people of Japan. However, of the thousands that were collected 4,576 swords could not be traced to the original owners or families and were later preserved at the Tokyo National Museum. Seven were given back to their rightful owners. 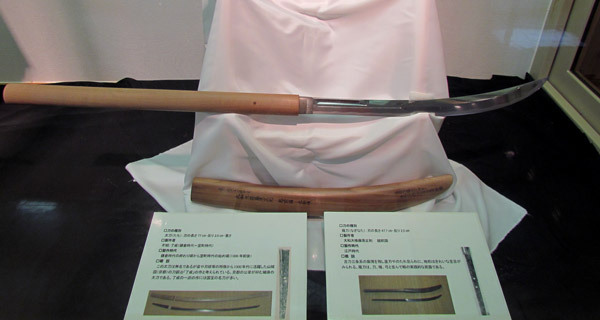 The remaining 4,569 swords were donated to each Prefecture in Japan, to include Okinawa. Okinawa Prefectural was given 33 swords. According to information provided by the Ginoza Museum, two other museums, the Okinawa Prefectural Museum and the Uruma City/Ishikawa Museum, were given the honor of holding these valuable national treasures. Although not a surprise that the Prefectural Museum should have such an honor, it is not clear why either Ginoza Village or Uruma City were given such a task. Weenuatai Ohaka. The other distinction in the Ginoza Museum is the display replica of the 'Weenuatai Ohaka'. An 'ohaka' or tomb are common structures seen throughout Okinawa. Many are made of stone. The original Weenuatai Ohaka however was made out of wood dating back to 1350 AD which predates the more familiar Turtle-Back tombs by several centuries (18th Century). 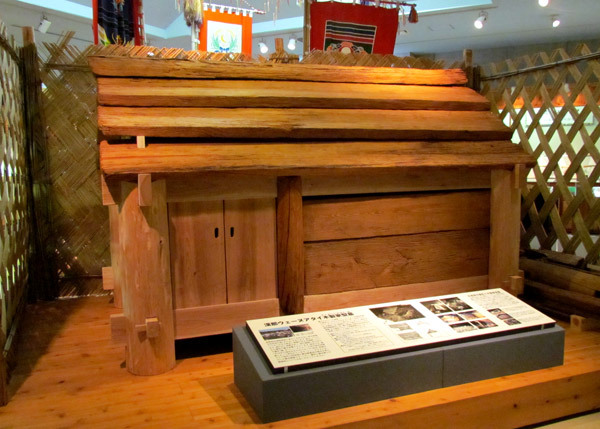 The Weenuatai Ohaka was rebuilt with both the original and new pieces of wood and is found at a small forest park in Ginoza Village (See article: Kanna's Yoriage Forest and the Weenuatai Ohaka). To see other items in the Ginoza Museum please click here or go to the photo album above. Recommendation. Explanation leaflets and labels at the Ginoza Museum are mostly in Japanese. To get the most out of this experience recommend bringing a friend fluent in Japanese both in speaking and in writing. There are information leaflets in Japanese that you can take with you. Hours of Operation. 9am-5pm (430pm last admission). Closed on June 23rd (Irei no hi 慰霊の日/Memorial Day), December 29-January 3rd, and other National Holidays. Cost. 100 Yen per adult, 50 Yen per college student, children Free. Phone Number. 098 968 4378. Related Articles/Places of interest nearby. Kanna's Yoriage Forest, Weenuatai Ohaka. Directions. 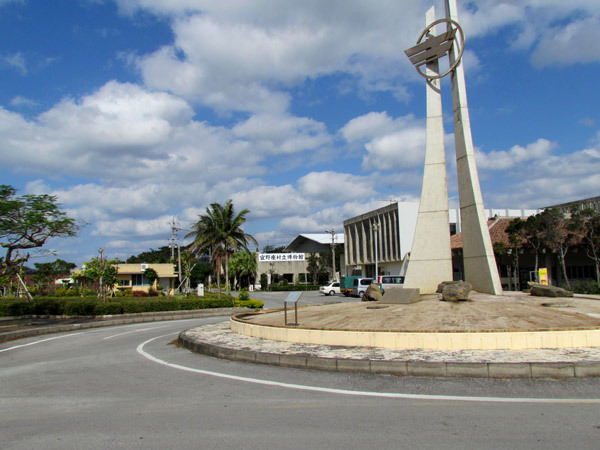 The turn-off to the Ginoza Village Museum is off Highway 329, just 25 meters north of the Okinawa Expressway entrance-way (Entrance/Exit 9). See map above. 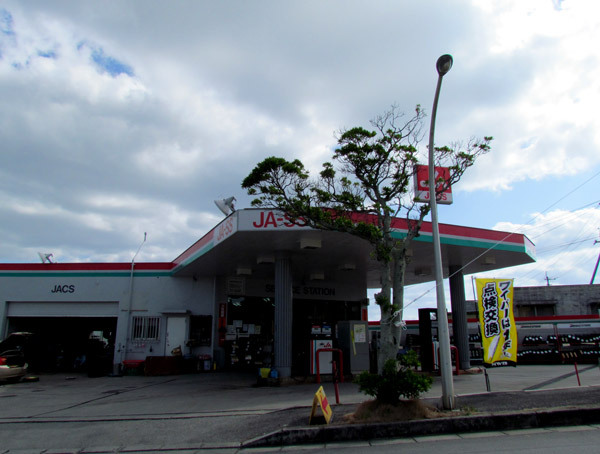 If you are heading north on Highway 329, the turn-off will be on the left-hand side just before the JA-SS Gas Station. As you proceed from the turn-off you will see a tower structure at the center of a circle intersection. Past the tower you will see a grey building with large Kanji written on it as shown in this photo. This is the Ginoza Village Museum. Source of information. Leaflets provided by the Ginoza Village Museum (Japanese), Martial Arts of the World Vol. 1 edited by Thomas A. Green, 2001, Pg 240 (Satsuma Invasion), Visions of Ryukyu: Identity and Ideology in Early-Modern Thoughts and Politics, Gregory Smits, 1999, Pg 83 (Turtle-back Tombs). Kamakura Period (Encyclopedia Britannica, Online), Meiji Period (Encyclopedia Britannica, Online).